What is the purpose of magic? When purely a stage show, magic is meant only to entertain, but some forms of deception have real-world functions and consequences. I recently read the first part of a book called The War Magician: The incredible True Story of Jasper Maskelyne and His Magic Gang by David Fisher. The writing style is so overly embellished that I couldn’t finish reading it; I wasn’t surprised to find out that the factual accuracy of this account is in question. Yet, the story is fascinating. If Fisher is to be at all trusted, Maskelyne, a British stage magician descending from other famous stage magicians, volunteered to join the army after WWII broke out, and was deployed to North Africa. 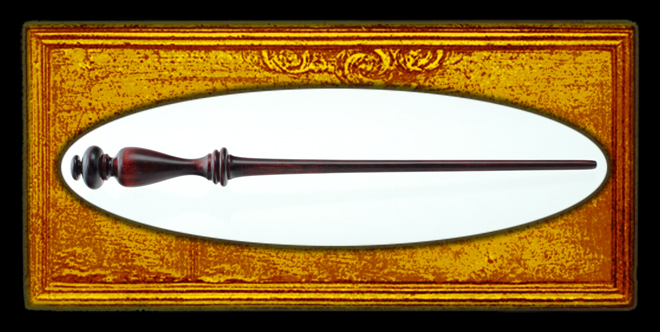 There, Maskelyne joined a group called the “Magic Gang,” which included such varied specialists as an architect, chemist, electrician, and art restorer. Again, if Fisher is to be believed, the Gang was able to conceal Alexandria and the Suez Canal from German bombers using mirrors and lights. They also convinced German Field Marshall Erwin Rommel that the British attack would be coming from the south by building a vast army of fake tanks complete with fake construction sounds and fake radio conversations. Deception has long been a part of war to confuse the enemy. One of the most famous examples comes from Virgil’s Aeneid, in which he depicts the fall of Troy. This, of course, happened after the Trojans pulled a large wooden horse filled with Greek soldiers inside their city walls. The rest of the Greek army had sailed away during the day and then sailed back under the cover of night. The well-placed intruders opened the gates for their brethren, who came in and ransacked the city. 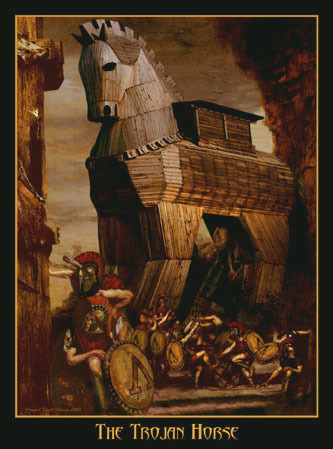 My favorite contemporary allusion to the Trojan Horse comes in the 1999 version of The Thomas Crown Affair. An actual horse statue is delivered to the Metropolitan Museum in New York early in the film carrying several burglars inside, who steal a Monet painting. The climactic scene at the end of the movie, in which Crown arrives at the Met to “return” the Monet, is another allusion to the Trojan Horse and a grandly orchestrated illusion. The magic in this scene is not meant to baffle the detectives, but make them realize that the sleight of hand, the trick, the deception was always in full view. 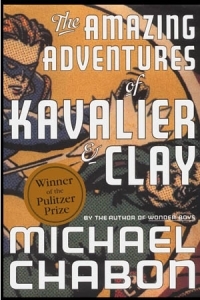 One of my all-time favorite novels is Michael Chabon’s The Amazing Adventures of Kavalier and Clay. In it, two teenaged cousins, Sam Clay and Joe Kavalier, create a comic book series called The Escapist. Whereas comic books are used primarily as fodder for summer blockbusters in current American culture, in their “Golden Age,” comic books tapped directly into the American psyche of needing to defeat Nazis. The two cousins create The Escapist with exactly this desire in mind–the need to defeat Nazis is especially close to home for Joe Kavalier, who left the remainder of his Jewish family behind in Prague when he escaped. While living in Prague, he’d studied magic and escapology and considered Harry Houdini to be his idol. 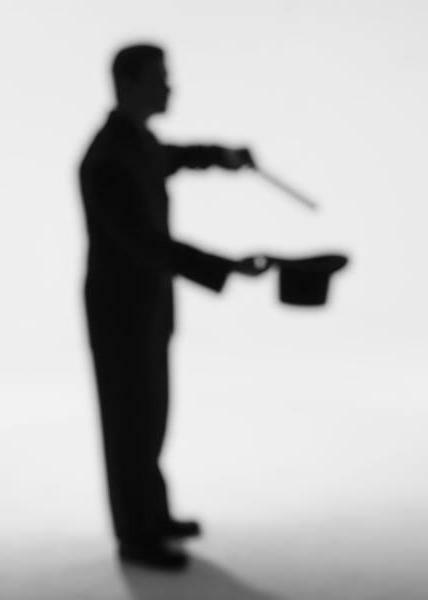 Usually, when I think of magic, I think of card tricks and animals appearing and disappearing. Perhaps I’m alone in this opinion, but escapes have always seemed something other than “magic.” Yet Houdini is arguably the most famous magician in history due to his amazing escapes. One of the most wonderful parts of Kavalier and Clay is how Chabon delves into the psychology of this particular brand of magic–how does a person learn to escape, and why would he be compelled to do so? This past Friday evening, I went to a Drive-In movie theater to see the final installment of the Harry Potter film series. Families had arrived early with camping chairs, grills and coolers of food, soccer balls and frisbees. Kids were wearing their pajamas, and pillows were set about in vans and trucks open to the big blank screen. There was magic in the air. Magic captivates us in its ability to seemingly bend the rules of our universe in large and small ways. Though professional magicians with huge glitzy set pieces and fancy costumes perform stunning feats, I’m more impressed by the amateur magicians at my local library or even the 13-year-old neighbor who likes to show me the new card tricks he’s learned. The magician who performs at the library has no obvious place to hide the rabbits or birds or water that he makes disappear, whereas I assume that there are trapdoors and hidden sliding panels onstage in the professional show (even if this is not, in fact, how the professional magician operates). Thus, I gasp with unfettered awe when the neighbor pulls out my card or the library magician lets loose a dove from nowhere. My great-grandfather ran a shop called the Red Rabbit, catering to all things magical. He himself was a Vaudeville magician who traveled along the east coast with his show. When he had children he settled into a more stable field and sold off all his tricks. To this day, my dad regrets that the family didn’t keep some of his old tricks. Both my brother and I showed a fleeting interest in learning magic tricks as children; we have a few books of card tricks somewhere in the basement along with a trick pack. However, all the books specified that you must learn sleight of hand if you want any chance in wowing your audience. After practicing a few times, I gave up. Back to the drive-in. The first movie was Cowboys and Aliens, one of the worst and least magical movies I have ever seen. It was, at least, fun to ridicule. Then came Harry Potter. I have been a fan of the series ever since I got over my snobbishness at the age of 14 (I thought the books would be too immature for me, a newly anointed teenager). The eighth movie is non-stop action, replete with flying dragons, treasure, animated armor, ghosts, and epic wand battles. Perhaps the most magical part of the experience, though, was that fireflies were glowing all around us and overhead was the most dazzling shower of shooting stars I’ve ever seen. It reminded me that all the magic we’ve created to astound the uninitiated still can’t compete with the natural magic of the physical world.